The Union Minister of State (Independent Charge) Development of North Eastern Region (DoNER), MoS PMO, Personnel, Public Grievances, Pensions, Atomic Energy and Space, Dr Jitendra Singh said here today that the Government is keenly promoting the trade potential of Northeast. This, he said, would not only give an economic boost to the North Eastern Region, but would also enable closer engagement with countries across the borders like Myanmar, Bhutan and Bangladesh. Dr Jitendra Singh made these observations when the Indian Ambassador-designate to Myanmar, Shri Saurabh Kumar called on him for a briefing before leaving for Yangon to take up his new assignment there. 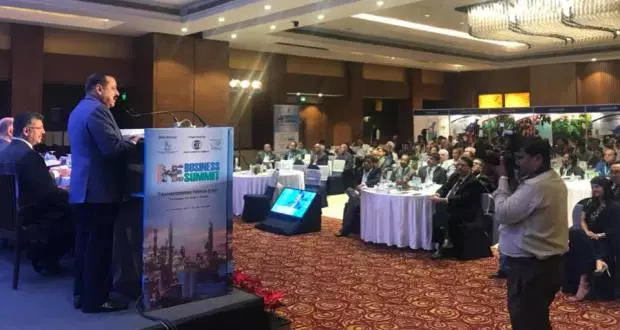 He said, with the personal intervention of the Prime Minister Shri Narendra Modi, there has been a tremendous activity in the business and trade sector in the North Eastern Region as well as a greater interest in trade with the countries across the Eastern borders. He made a particular mention of the ASEAN Business Summit organized in Guwahati last year, which the Prime Minister Shri Narenrda Modi himself made it a point to attend and address the trade and business leaders from India and other countries who had come together on a common platform. Dr Jitendra Singh said it is his considered view that, in keeping with the "Act East Policy", it is equally important to reinforce the growth and trade potential of the North Eastern Region, proximal to the borders. For example, he said, a product grown and developed in the North Eastern Region of India will find ready takers on the other side of the border because of the common lifestyle, common food habits and common tastes. Dr Jitendra Singh lauded the Prime Minister Shri Narendra Modi for having taken the courageous decision of amending the 100-year-old Indian Forest Act of 1919, thereby exempting the "homegrown Bamboo" from the Forest Act. This, he said, has proved to be a major booster for livelihood among the youth. Dr Jitendra Singh also spoke about the vast tourism potential which remains unexplored in this region. Shri Saurabh Kumar informed the DoNER Minister that before taking up his new assignment in Myanmar, he is trying to gather inputs from all quarters, including trade and industry circles. He assured the Minister that he would get back to him for follow-up plan in near future.